At some point in your life, you’ll probably have to face the embarrassment of tooth stains. 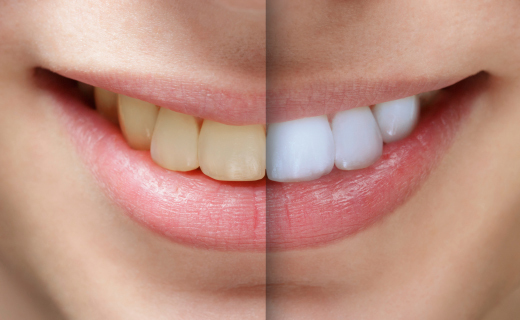 Because enamel becomes thinner as you age, discoloration occurs naturally as you get older. Stains can also be caused by your consumption of tea, coffee, cola drinks, red wine, and even healthy foods like brightly colored berries. If you smoke or chew tobacco regularly, take tetracycline, or suffer dental injuries, you may find yourself with unsightly, discolored teeth at a younger age. Fortunately, seeing your dentist in Virginia for professional teeth whitening can usually solve the problem and restore your gorgeous smile.